Duke may have had some bad press over the past, er, ten years, but according to the 2013 US News and World Report, Duke is a Top Ten school — and its students would invariably agree. Its gothic architecture is staggering, the basketball team trounces UNC periodically, and did I mention how many distinguished alumni there are? But anyone with an internet connection could figure that out: The real Duke is something only its students can fully understand. From the sublime (winning a Duke-UNC game) to the ridiculous (we're looking at you, Karen Owens), here's a salute to the Southern Ivy that could. 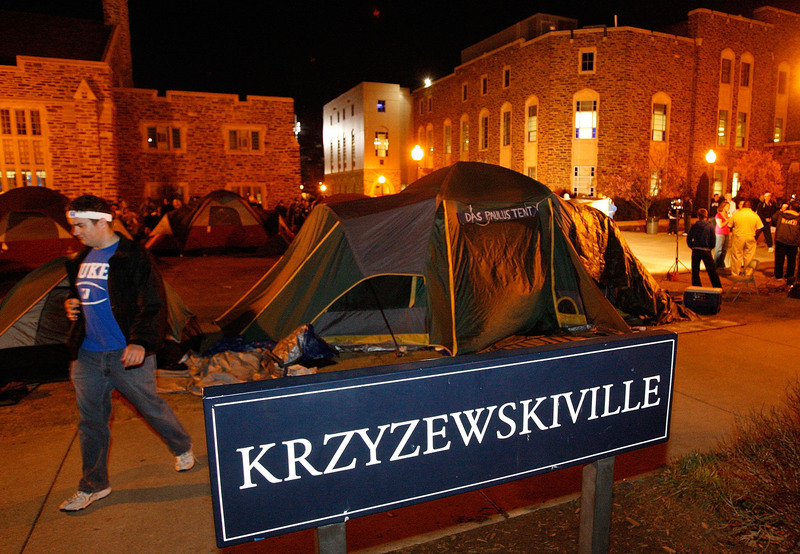 Here's how you know you're a true Dukie. And what is the deal with that mechanical bull, anyway? More like, there's a 100 percent chance it's already snowing. Living in that quirky little old house off East Campus will bond you for life. There's nothing hotter than looking like a Smurf at a Duke game. Though you probably lived at Edens Dorm. Forget traffic violations or personal safety — this is a graduation requirement we're talking about. Someone was robbed at 2 am off of East Campus? Eh…what else is new? Lost a Duke card or ten? Yeah, me too. The only thing that could make their carnitas and horchatas any better would be a mealtime massage. Sure, there's only a couple of rooms up there with minimal cell service, but it's a secret tower! Brie and fig jam wrapped in a flaky pastry crust? Where did this ingenious idea come from? Duke blue looks better, anyway. We're not even going to talk about the sound effects that go with the gestures.